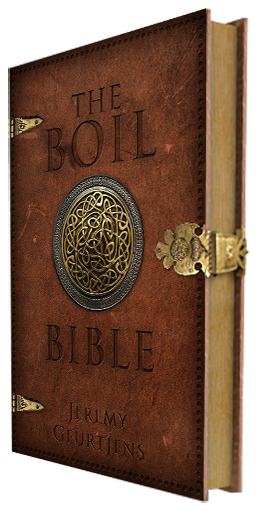 Writing “The Boil Bible” has given me the opportunity to help others suffering from boils and/or MRSA infections. Are you, or someone close to you suffering from either boils or MRSA? Have you tried antibiotics and just about everything else without success? Worry about waking up in the morning and finding more painful boils on your body? Worry about the horrible scarring that will always be there to serve as a reminder of your struggle? Worry about a lack of intimacy with your loved ones…caused by the fear of spreading the infection to them? Suffer from a loss of self confidence and feelings of despair and helplessness because you can’t seem to break the cycle of infection? I had to deal with all of the things mentioned above at one time or another during my battle with boils and Methicillin Resistant Staphylococcus Aureus (MRSA) but guess what…I succeeded and you can to! In The Boil Bible, I explain exactly how I recovered and became not only boil and MRSA free but also healthier, using several simple but effective natural methods and treatments. I have also included my personal “journey” in this book. If you choose to read it great….if you would rather skip straight to the helpful advice, that’s fine to. At the end of the day, I want to help you recover. I’m not a medical practitioner, nutritionist, or health expert and I do not claim to be. I am a former boil and MRSA sufferer who made a full recovery using nothing but the information that I have shared in this book. Throughout this book, I only recommend the products and books that worked for me. This is because I know from experience that money can be quickly wasted trying out the “latest and greatest” MRSA treatment, often without success. I also know for a fact that when I was suffering, I would have paid a small fortune to have the answers. I spent hundreds of dollars just going to the regular doctor and hundreds more on supplements and treatments that didn’t work. So…to get a book that provided me with all the information and advice I needed to make a full recovery from MRSA would have been amazing, and I would not have hesitated in making that purchase, no matter what the price! Unfortunately for me, I couldn’t find such a book and so I made the decision to make one if I could “find the answers” to a recovery. Once I had found out what worked and what didn’t, I wrote The Boil Bible…..a book that I believe will help others by providing nothing but “useful” and “helpful” information and advice. I also wanted it to be available to you whether you use a PC, eReader, or Tablet so it is available in either pdf, ePub, and mobi formats. The choice is yours. You can get a copy in the file format of your choice at the bottom of this page. I promise that the advice in this book works and it’s cheaper than another trip to your doctor!